Health Savings Accounts (HSA) are designed to reduce insurance costs for both employers and employees. 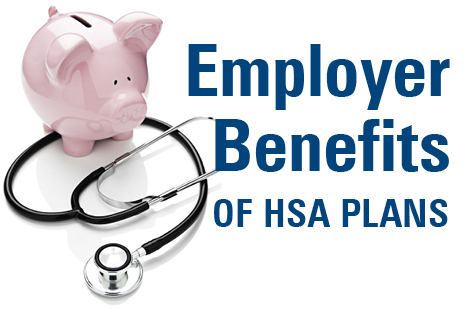 If you are considering offering an HSA as part of your employee benefits plan, here are some additional benefits you will realize. Lower insurance costs. Switching to an HSA-qualified high-deductible health plan should reduce your insurance premiums. In addition, rather than paying 100 percent of insurance dollars towards premiums, an HSA allows you to distribute some of these funds directly to your employees by making contributions to their accounts. Offer a more diverse benefits package. Including HSAs in your benefits plan can enhance your benefits package and aid in attracting and retaining key employees. Minimize administrative costs. Employees own and administer their own HSAs, so there are minimal administrative and compliance issues for employers. Share the cost of health care benefits with your employees. An HSA gives your employees the ability to build a savings account with tax benefits and motivates them to take a vested interest in their health care choices and expenditures — a win-win for all parties. *States that do not provide state tax exemptions for HSA deductions are Alabama, California, New Jersey, and Pennsylvania. An increasing number of employers are incorporating health savings accounts (HSA) into their group benefits plan. The following is information you can share with your employees to help them understand the benefits and requirements of HSAs. An HSA is an account set aside specifically for paying qualified medical expenses. The account is typically set up as a tax-exempt trust or custodial account. 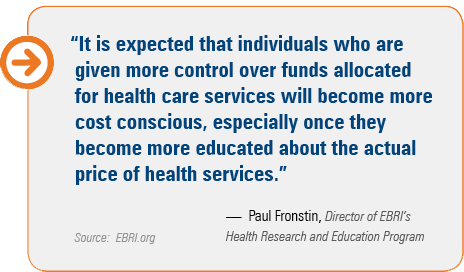 HSAs are offered by some employers to give their employees more control over funds allocated for health care services. Both employees and employers can contribute to an HSA. The 2011 maximum annual contribution is $3,050 for individual coverage and $6,150 for family coverage. These limits will increase in 2012 to $3,100 for individuals and $6,250 for families. You can expect to see future changes in contribution limits as they are indexed to inflation. Individuals who have an HSA and are at least age 55 by December 31st may make a one-time annual “catch-up” contribution of $1,000 to their HSA (as long as they are not enrolled in Medicare). Because accounts are owned by an individual and are technically not family accounts, when both a husband and wife are eligible to make catch-up contributions they must own separate accounts to do so. 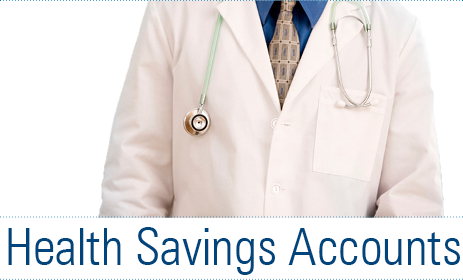 For more information regarding health savings accounts, contact your Leavitt Group insurance advisor. You can claim a tax deduction for HSA contributions made by you or someone other than your employer. Contributions made by the employer are excluded from taxable income. Unused contributions in your account roll over from year to year. Earnings on contributions are also not subject to income taxes. Certain preventative services can be covered in full and not subject to a deductible. If you change employers or leave the workforce, you still own your HSA. You are covered under a high deductible health plan (HDHP). You have no other health coverage except what is permitted by exception. These exceptions include supplemental coverage without a high deductible for such things as specific injury insurance or accident, disability, dental, vision or long-term care insurance.